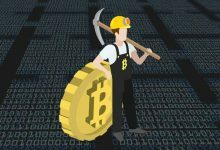 Do you know a crypto currency that is currently rocking the dark web? It is not Bitcoin anymore, its Monero and few other privacy coins. That’s because in Monero the transaction stays anonymous and is completely untraceable. Here we are not going to go in depth about what is Monero and how it works. Instead we are going to talk about a online wallet where users can send / receive Monero (XMR) coins and is called MyMonero. 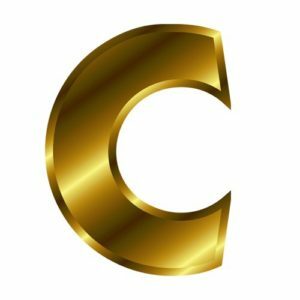 In the past we’ve made so many Altcoins tutorials but there are only few covering about popular Cryptocurrencies. Well, here it is; our first guide on Monero where we are going to explain everything about MyMonero and additionally review MyMonero. The point of this post is to teach beginners who have no prior experience in using a online crypto wallet. Additionally giving them all the safety and security measures to follow when using MyMonero web wallet. Monero offers CLI (Command Line Interface) wallet which is official and to use that users need to run full node. 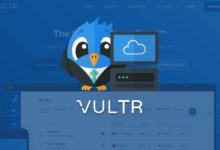 Most users won’t prefer that due to large blockchain files being stored in a computer and beginners find it really hard to understand the commands. 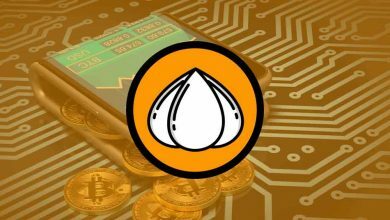 To simplify there were several unofficial and third party wallets emerged such as Jaxx, Exodus (soon to be released), mobile wallets (Coinomi, monerujo) etc. One among them is MyMonero. MyMonero is a secure, easy to use light weight GUI web wallet just like MyEtherWallet. 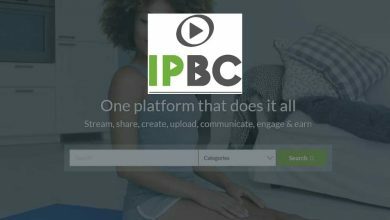 It provides a nice interface that broadcasts all your transaction details instantly. To use this wallet you don’t need to run a full node, it’s a web wallet so just your private login key is all you need to access your wallet. 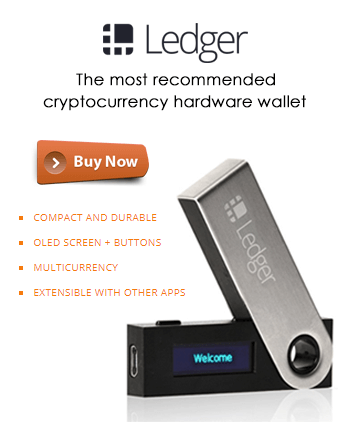 This is not a third party wallet, it is developed and run by a Monero core team member. Also it is probably the most intuitive GUI wallet available for Monero currently and is available in 4 languages such as English, Portuguese, Spanish and Japanese. Accessing MyMonero web wallet is not at all complicated. All you need is a web browser and a Internet connection, however you should be very careful when accessing. 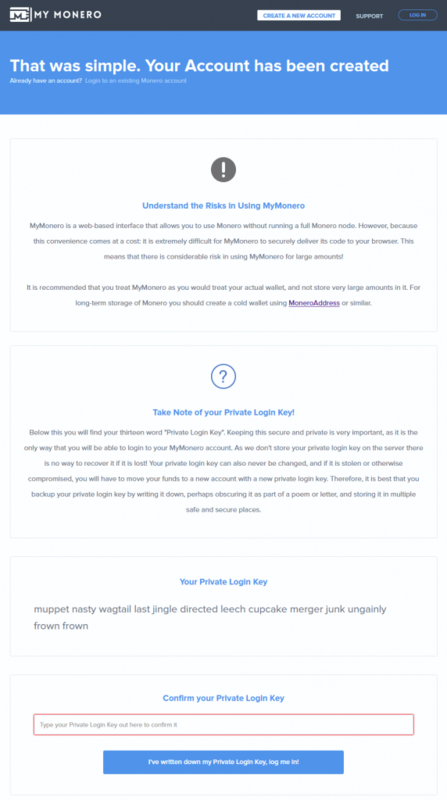 Please refer to safety measures section where we mentioned about MyMonero phishing scams and how to avoid that. Really don’t worry about those phishing sites. If you understand (which we’ll explain here) and know how to use MyMonero then this is a wallet you’ll love to use it on daily basis. Accessing MyMonero: To access MyMonero wallet service head to https://mymonero.com. Make sure the connection is secure which you can confirm by paying attention to the URL. Once the website is loaded the first thing that you’ll notice is this screen that says ” The Simplest Way to Use Monero. Send and receive Monero safely and securely, anywhere and anytime.” which may change in the future. To create a new account this service doesn’t require any registration, email or phone number. Just click on “Create an Account” button and it’s done! 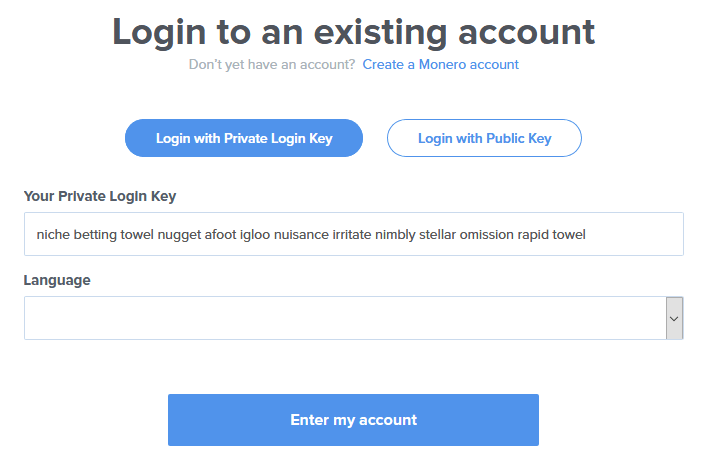 The new account creation page puts up few information in front of your notice such as risk factors that is involved in using MyMonero and some safety note about private login keys. The best part about this wallet is none of your information is stored in the web server. Most of its action happen in your web browser itself. 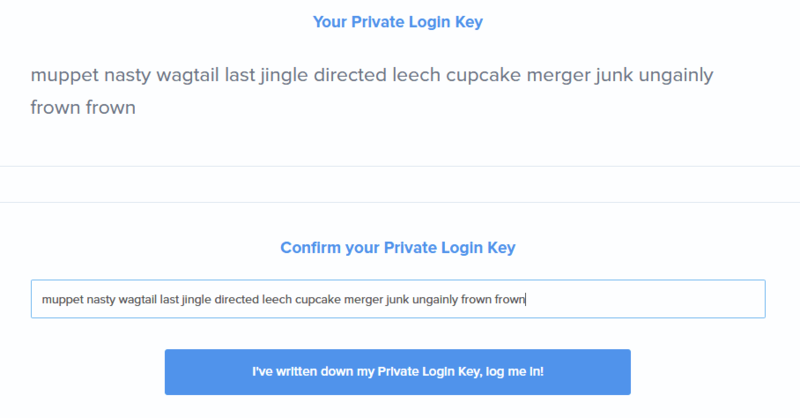 Upon creating a new account this wallet generates a thirteen word “Private Login Key” which is only available for you. Copy the private login key and write it down or store it in a safe place. This key is what you’ll need to login to the wallet service and if you lose them then there is no way you can recover your account. 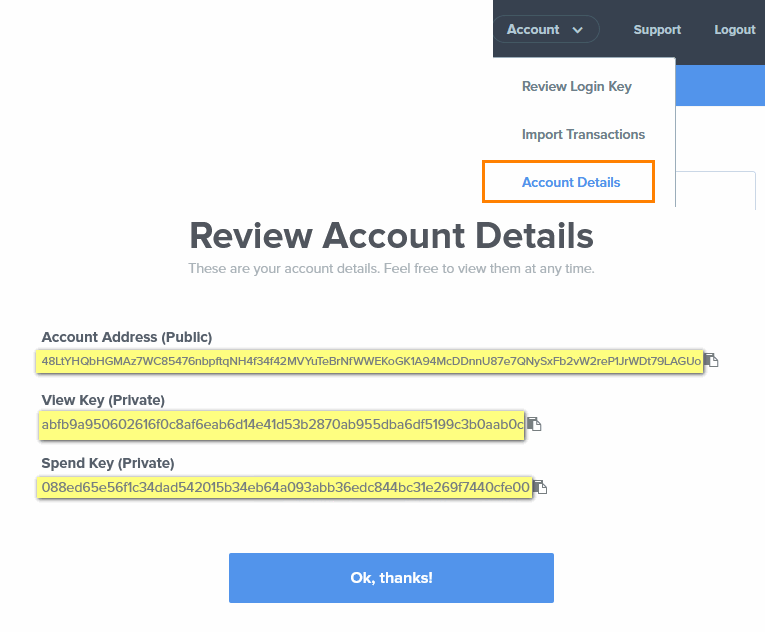 In case if you fail to copy this then once you login to your account go to your account >> and click on review login key to view your private key once again. Copy your private key, confirm your private key by entering in the field below and click on log me in. That’s it, so simple! Now it will straight away take you to your wallet dashboard. Now you have your 13 words private login key. To login to your account click on login at the top right corner of the website. Now it will display a dialog box, just enter your private login key, choose your language and enter into your account. Alternatively you can also login with public key. For this you’ll need your wallet public address, view key and spend key. We’ll show you where to fetch this information. Alright! You’ve now learned how to create and login to MyMonero account. Now let’s see where to get the complete account details such as your wallet public address, view key and spend key. Unlike other wallets you don’t have to create a new wallet address manually. For each login key there is only one wallet associated and it will generate the address automatically. Upon logging into your account you’ll land in account overview page. It will display your wallet public address, transaction history details and the balance for your account. So where to get the complete account details such as private view key and spend key? Drop down account at the top right corner and click on account details. Now it will display a popup that shows Account Address (Public), View Key (Private) and Spend Key (Private). Copy these information which is as important as your login key. This will come in handy in the future to import wallet to other service or to recover account. We’ll now see how to use this MyMonero wallet that is how to receive Monero and how to send Monero. To receive Monero to your MyMonero wallet all you need is a receiving address which is your public address. Just head to receive tab of your wallet where you’ll be provided with your wallet public address along with the QR code. You can either share the QR code or the address or both to an user from whom you’d like to receive funds. Additionally you’ll see payment ID in the receive tab which is generated each time and it is optional. We’ll explain why and when you need this payment ID. Similar to receiving funds, sending funds from your wallet to another is same. 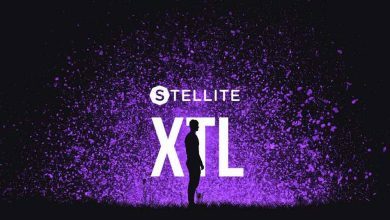 You’ll need a receiver address and additionally you’ll be asked to set a privacy level for your transaction. Also you may need to enter the payment ID depending on to whom and where you are sending coins. 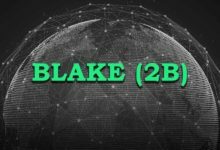 Payment ID is nothing but a optional transaction attachment that is usually used to identify transactions to merchants and exchanges. 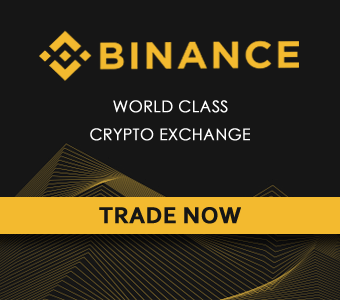 For example if you are looking to send your funds from MyMonero to Binance account then you’ll need both deposit address and a deposit Payment ID (which Binance generates for you). This payment ID helps them to tie incoming transactions with your account and most exchanges require this information. If you fail to include your payment ID then your funds will be lost so be sure to include payment ID whenever its required. 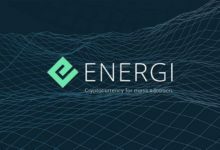 More information on payment ID can be found here. 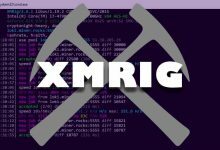 Since Monero is a privacy coin there is a feature called Ring Size or Mixin. It is required for Monero transaction and whenever you send coins you’ll need to set this feature. You’ll find 4 settings in privacy level such as Minimum (with 6 others / signatures), Medium (with 10 others/ signatures), High (with 20 others / signatures) and Paranoid (with 40 others / signatures). What are these? Let’s say you want to completely hide your identity while sending coins. You can either set High or Paranoid (which is not required in most cases) as a privacy level. This by mixin with the network no one actually knows who the true sender is even by looking at the transaction ID. Remember that higher the ring size or privacy level you set the more you’ll need to pay to the network which is often negligible. Transactions: Just like any other crypto currency wallet you also find transactions tab in MyMonero. Head there to get a complete statement of all transactions for your account. There is no option to export the transaction details which we hope the developers add it soon. If you wish then anytime you can sweep funds from MyMonero to other wallets (CLI) by using your view and spend keys. We’ll make a separate guide on how it’s done. Here we’ll show you how to import paper wallet or GUI / CLI wallet transactions to your MyMonero account. There are many scenarios in which one prefer importing paper wallet or CLI wallet to MyMonero. 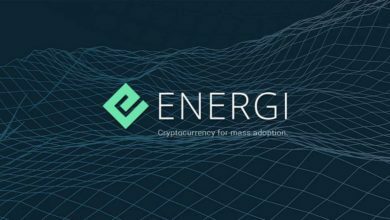 For example to do transaction often (which is not practical with paper wallet) or when a user is tired of running full node wallet that needs to synchronize with the blockchain all the time. Actually you can’t import paper wallet directly to MyMonero. You’ll have to import paper wallet to CLI then move those funds to MyMonero which is a huge process. From CLI wallet you can easily import transactions to MyMonero with a simple command. 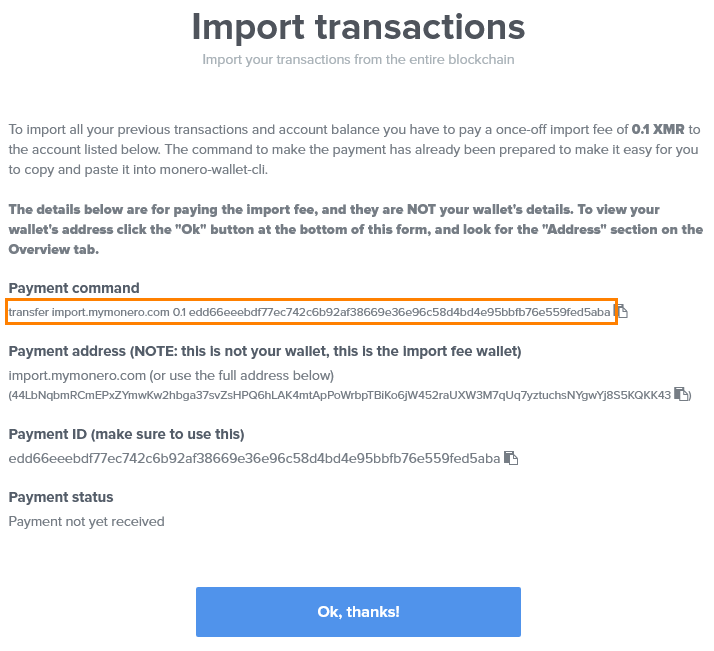 In MyMonero wallet head to Account >> Import transactions and you’ll find the instructions to import transactions. Remember that the process of importing all your previous transactions to MyMonero wallet comes at a cost. 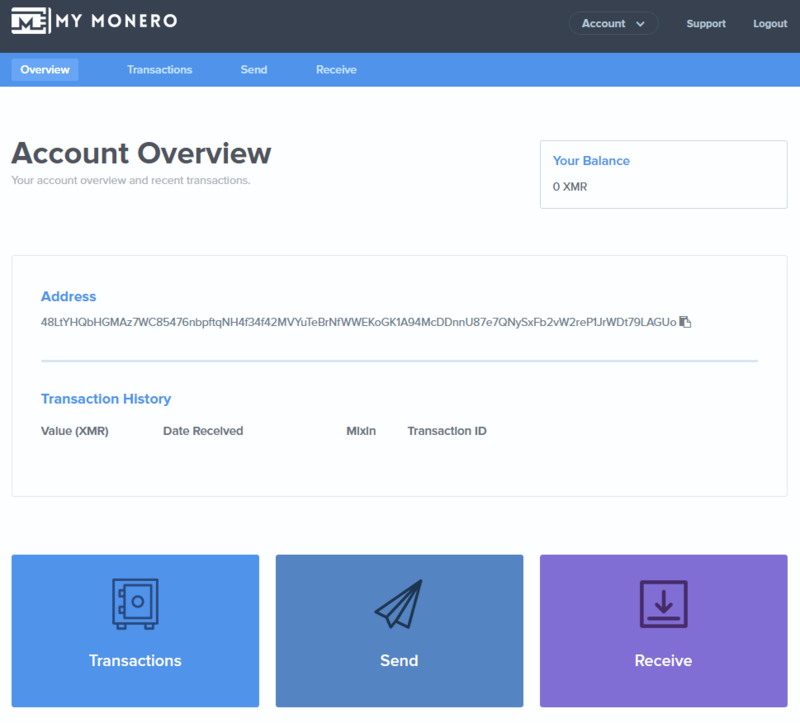 You’ll be asked to send 0.1 XMR as a fee (current fee) to the developer wallet before importing transaction to MyMonero. All you need to do is enter the payment command in CLI which is readily prepared for your account. Once the payment is complete you should see payment processed in payment status info. Once that is complete you should be able to import your wallet transactions. 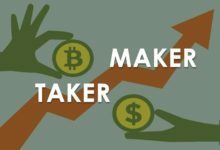 Note: If you are a beginner then this step is not recommended due to high transaction fee and risks involved. Most users wont prefer this and its highly advised to keep your funds in CLI or GUI wallet instead of importing them. Why is there a fee to import transactions? When creating a new wallet, MyMonero doesn’t need to scan the blockchain as it knows the address didn’t exist previously. However while importing a wallet, the client instructs the server to re-scan the complete blockchain from the beginning. This process highly consumes server resources and takes a lot of time. The fee is set in order to discourage the use case but still providing the option just in case if someone needs it. That’s all there in MyMonero! If you have any questions or need support then you can email the developers at support@mymonero.com. Before we conclude we’d like to add some safety and security measures which you should follow when using MyMonero or any crypto currency online wallet. Always make sure you are accessing the right URL. It is https://mymonero.com. There are several phishing websites trying to steal your funds and all of them look similar except the URL. So please pay attention to the URL before logging in. 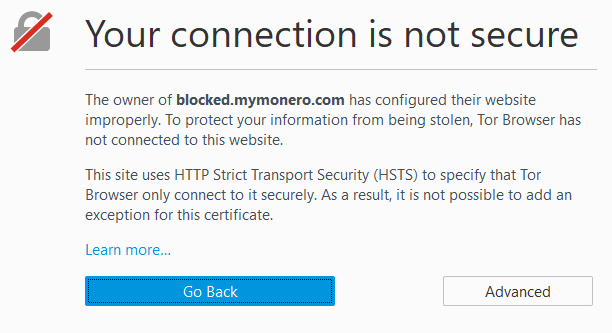 It is https://mymonero.com and not my-monero.com or my.monero.com or mymoṇero.com. When you start using your wallet for the first time test your login keys twice or thrice. Logout and login to your wallet few times to make sure you have the right key sequence. Before you receive or start mining to MyMonero wallet address make sure to copy all the information. Backup your private login keys, public address, view key and spend key. By default online Monero wallet blocks all privacy browsers from accessing. Be cautious about this and do not login to MyMonero using any privacy browsers such as TOR or Yandex or Epic. Also logout from your wallet after using it and clear your browser cache as well. MyMonero Review – Is MyMonero Safe? We often hear people saying MyMonero is a SCAM and they lost all their funds. Also there are several discussion on community forums asking is MyMonero wallet safe? First of all MyMonero is a most secure client side wallet. It means none of your information are stored in their server. Your private login keys are encrypted and everything happens within your browser. The main reason people tend to lose Monero is because they enter their login credentials in phishing websites. As a user you must be very careful and take all the safety measures when using MyMonero. Above all don’t store more than you can afford to lose in any online wallets. Also to HODL a large amount of Monero we never recommend MyMonero. Instead generated a paper wallet and store your XMR there which is the most safest option. So you now have your Monero wallet ready. You can buy Monero by trading Bitcoin or Ethereum from Changelly. If you don’t have Bitcoin then you can buy it from Coinbase. Head to Monero official website to learn more about Monero and also you can find more resources there. If you need quick answers regarding Monero wallet then you should join the Reddit community. We hope the above guide covers all the information that is needed for you to get started with MyMonero. If you are stuck or got any questions then feel free to make a comment. If you like this guide then please do share it on Facebook and Twitter. For daily usage its OK to have a small amounts of Monero but is definitely not a place of storage. 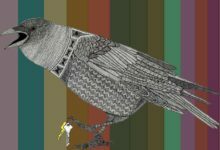 Is it possible to hack the Monero using brute force technique by generating several 13 word keys?